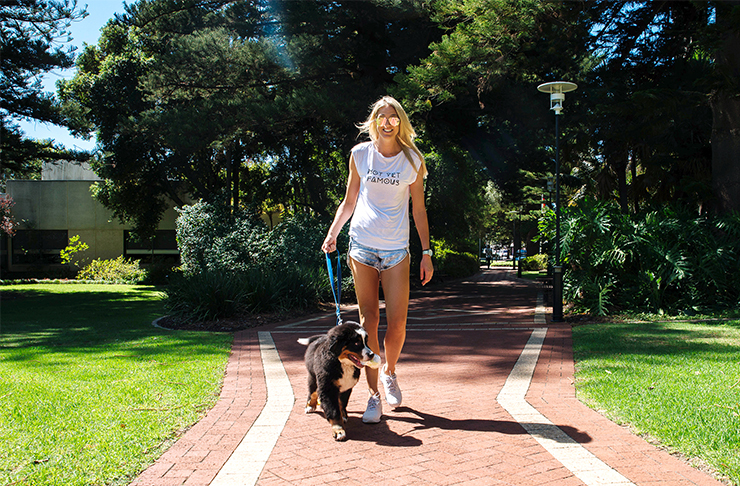 This week, we had a chat to Caitlin Bassett, pro netballer and all-round top chick! 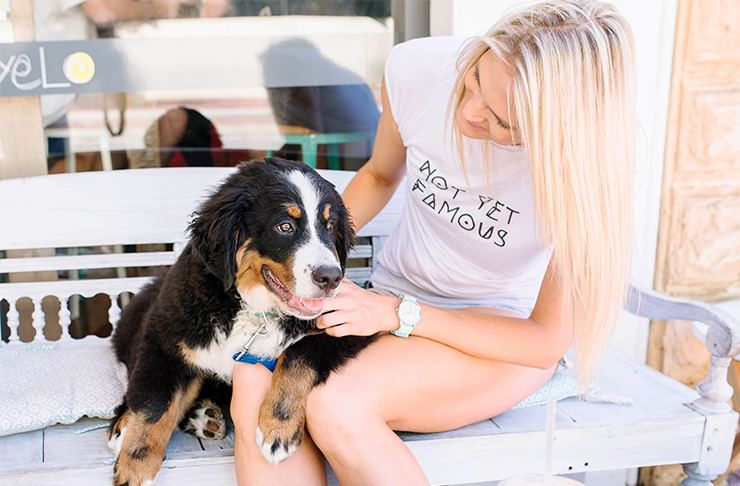 A big believer in being organised when it comes to keeping healthy, Caitlin also owns some of the cutest pets we have ever laid eyes on—a Burnese Mountain Dog called Chino and four adorable bunnies. If you want to see a load of cuteness you can follow her on Instagram! We took ten with Caitlin to talk about her busy ballin’ life, her top health tips and where she likes to grab an acai bowl in Perth. HI Caitlin! What’s your story? I’m Perth born and bred. I started out horse riding before trying netball at age 11 and have been playing ever since. I debuted for the Perth team at 16 and the Australian team at 20, have played 100 consecutive games for the West Coast Fever and am currently the most capped West Australian player. Aside from netball I am slowly working my way through a broadcast and journalism degree and love coffee as well as my fur babies (puppy Chino and four bunnies). What spurred you on to start your activewear range? Being tall I have always struggled to find clothes to fit and so I thought, why not create some that actually do! Netball as a sport attracts a lot of lovely tall girls and I figured they might have the same problems as me. I do some work with Telstra and run my own clinics around building self-confidence, as that was something I struggled with growing up. I have always been active but it took me a while to learn how to be an elite athlete. I moved out of home at a young age and often ate whatever I wanted instead of what I should have eaten to keep healthy! Luckily I had some older team mates who taught me how important putting the right fuel into my body was. 6:30am—up for training, I get there early to strap my ankles and see the physio before getting out on court for a two-hour session which runs from 8am to 10am. At roughly 11:30am to 2:30pm I duck off to uni. I study at ECU and fit in a unit or two each semester around my training schedule. From 3pm to 4pm I pop home for a snack and generally grab a coffee and take puppy Chino for a walk. 4:30pm to 6pm I head back to training for a weights session in the gym and between 7pm and 9pm I cook dinner, hang out with my boyfriend and prepare for the next day. Definitely the social side and getting to travel and train with my friends. I love animals, so I’d be working with them in some capacity. I always dreamed of going to the Olympics for equestrian as a kid. Away from the court I like hiking with my mates and the occasional game of badminton. Be organised! I hate eating plane food so always make sure to grab some fresh fruit and make a salad or slice to take with me on the plane so I have something to snack on. Generally, if you’re flying from Perth it’s going to be a long trip so being prepared is important. I really love acai bowls and there are a few good spots in Perth to grab one—Bowl’n and Ohana Acai Bar. It’s the perfect treat to cool down on a hot Perth day. I still have a few years of netball in me, so playing with the West Coast Fever and preparing for the next Commonwealth Games which is on the Gold Coast. After that I would love to work in sports broadcasting and open my own cafe. I don’t drink much but being a coffee lover, I love a good espresso martini and Bib & Tucker have a delicious one. Want to take a sneak peak into the lives at some other Perth health nuts? Search ‘Meet The Health Nut’ in The Directory.